Tracy Aviary is installing a new feature for kids of all ages to see how they measure up to the world’s great birds. The first two birds, an Andean Condor and a Southern Ground Hornbill painted by Chris Peterson, were delivered last week by Gr8West. They are part of a long fence where a dozen more life-size bird paintings will allow visitors to spread their wings to see how they measure up. 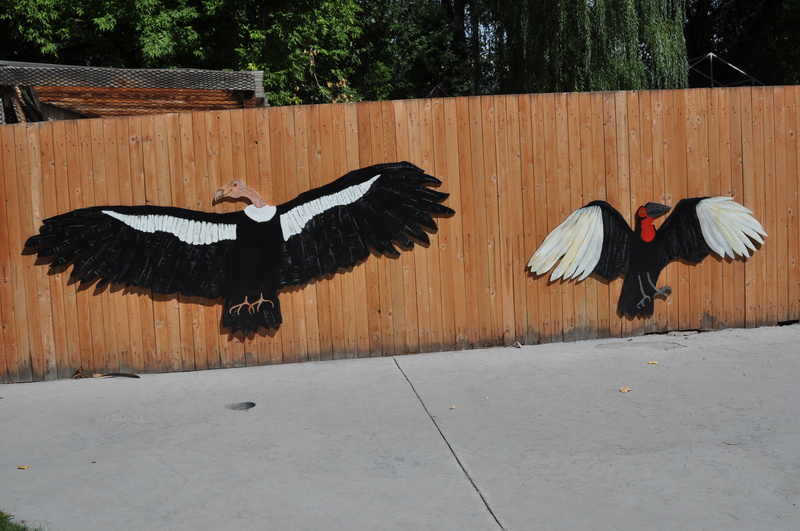 The addition of the large bird painting cutouts is the latest initiative of our ArtParks Project. Since 2008, Gr8West has partnered with the Aviary to provide art and the close interaction with birds to foster creativity and learning about nature. With initial funding from the Salt Lake Education Foundation, students from Dilworth Elementary and Lincoln Elementary contributed some decorative elements and design ideas. A variety of children groups have participated since then. 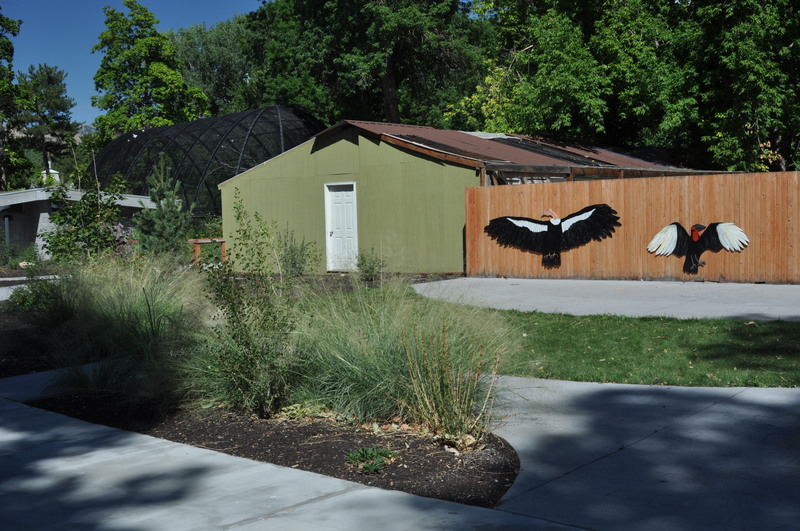 Today, thanks to the leadership of Tim Brown, the Tracy Aviary has considered children in its design as it has evolved and constructed new exhibits and spaces. 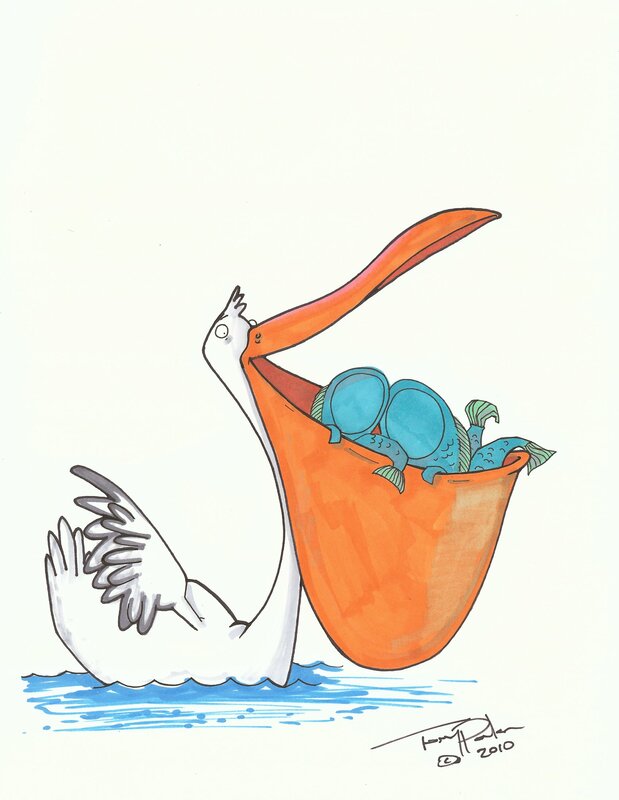 In addition to the dozen birds we are working on now, we’re also creating some large posing stations for visitors to take snapshots at, including a 10-foot tall pelican (see Tony’s drawing). Come on down and see whats happening with the birds! We have been working with Tracy Aviary to develop the Children’s Art Park for almost three years. We are excited to partner with Tracy Aviary this summer to offer children’s art programming in the ArtPark on Saturdays. Click on the image for a link to the info on their webpage.